passed away due to homocystinuria in the early 1970s and Margie is committed to finding a cure for homocystinuria so that someday no children will suffer like her sisters did, and no families will need to deal with the impact of this devastating illness on their family members or the fear of passing the disease along to additional offspring. After receiving a BS in Pharmacy and an MBA in Marketing from The University at Buffalo, Margie spent 26 years at Merck where she served in leadership roles in marketing, new product development and managed care, last serving as President, Global Vaccines and Anti-Infectives. 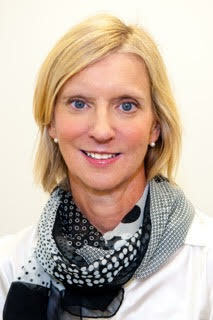 After retiring from Merck, Margie served for 4 years as President and Chief Executive Officer of the International AIDS Vaccine Initiative (IAVI), a Product Development Partnership which helps accelerate HIV vaccine development by bridging government and philanthropic funding with academic and industry vaccine research and development capabilities. Margie also serves on the boards of, Vertex Pharmaceuticals, Amicus Therapeutics, Orphan Technologies, and Air Products and Chemicals. “Over the past several months, a project has been underway that was sponsored by HCU Network America and HCU Network Australia to develop a global research map that describes the research underway for new therapies to treat homocystinuria, focusing on HCU caused by CBS Deficiency. A global research strategy was also developed and a Scientific Advisory Board was convened to define the top priorities for funding. Both organizations will work with the HCU community to raise funding to support these key priorities, with a goal to get new therapies to market that may avoid or lesson dietary restrictions and prevent disease caused by HCU. This presentation will summarize the findings from this project and the key priorities for funding. Want to learn more about the speakers? Sign up here to keep up to date with events, newsletters, and more!